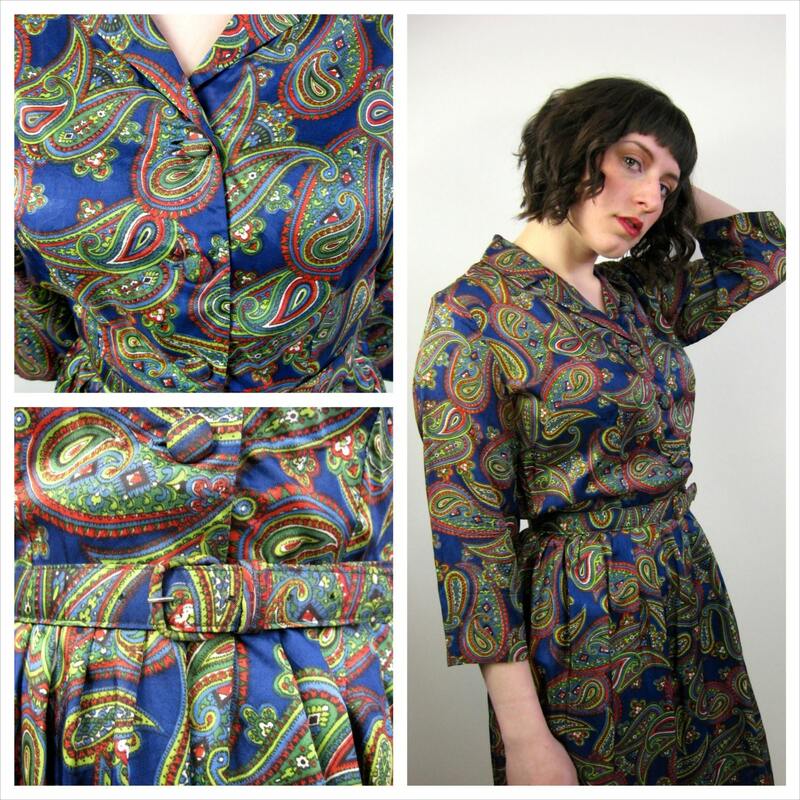 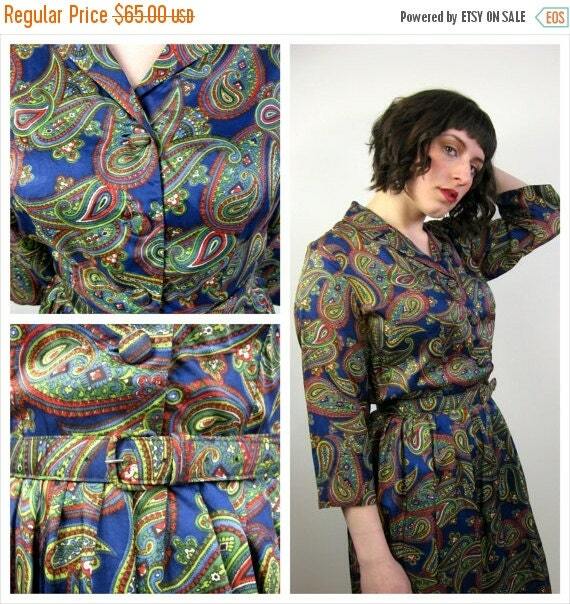 Paisley day dress circa 1950's is in very good vintage condition. 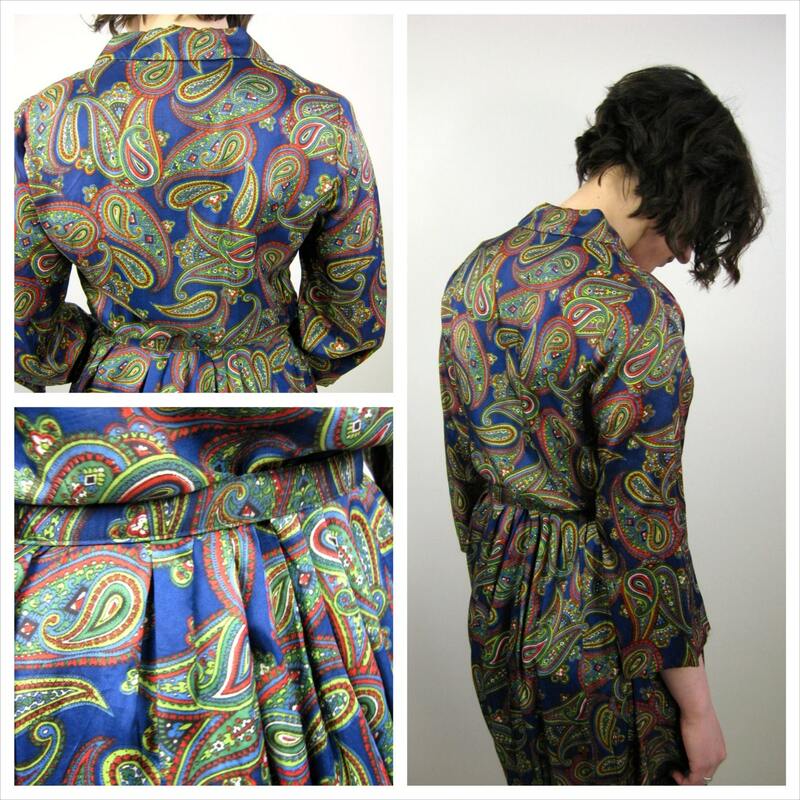 This Paisley beauty has recently been cleaned and is ready to wear. 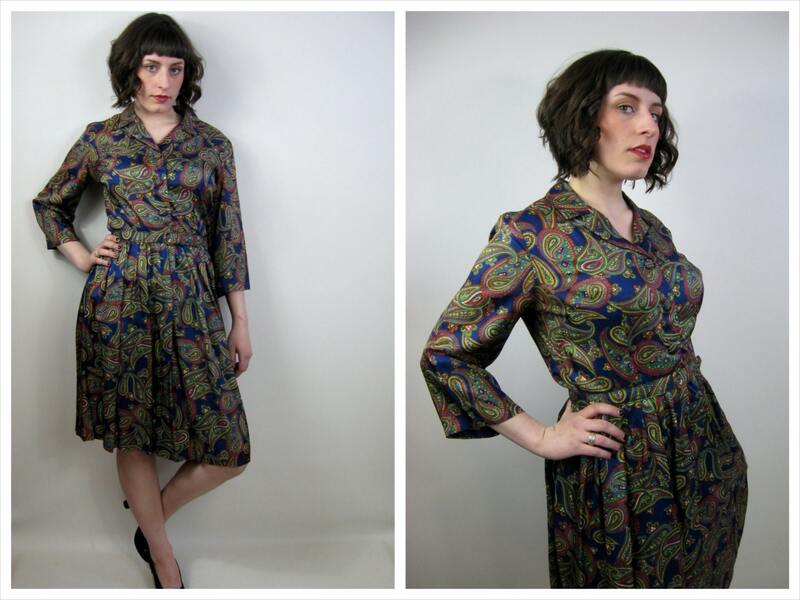 Perfect for that Rockabilly wardrobe collection. 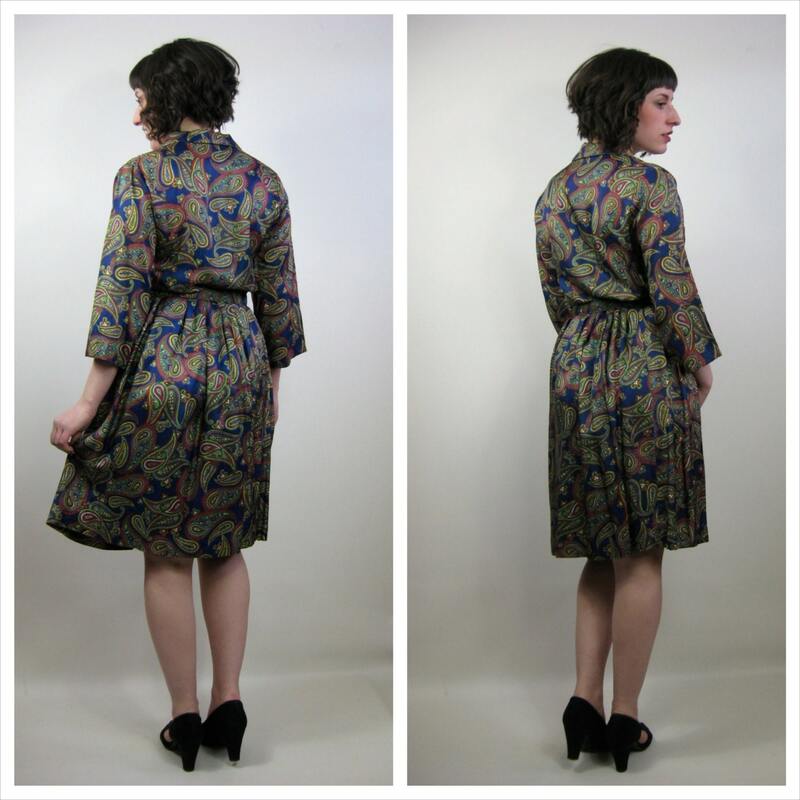 SLEEVE LENGTH (top of shoulder to cuff): 16.5"
BACK LENGTH (nape to waist): 16"